We’ve analyzed different social media and search engine queries to find the most frequently asked questions about Belarus and decided to create a FAQ page with answers and things to know about our country before you visit it. Is English widely spoken in Belarus? Similar to neighboring countries, older people and people in villages usually don’t speak English, while younger population and inhabitants of big cities speak it pretty well. Some people also speak German, French and Polish. What Language do People Speak in Belarus? There are two official languages in Belarus, Belarusian and Russian. While most of the people can speak both, Russian is used more. Is Belarus a country (is Belarus independent)? Yes, Belarus is an independent country since 1991, when the Soviet Union fell. Find out more about the history of Belarus. Where is Belarus on the map, is Belarus in Europe? Geographically, Belarus is located in the center of Europe, there is even a sign of it in Polotsk, as the Eastern border is in Ural mountains in Russia. Still, most people think of it as part of Eastern Europe, because the term ‘Europe’ is often referred to the EU countries. Minsk is the capital of Belarus. It is also the largest city of the country with its 2 million people. Check the prices in Minsk and most interesting attractions to visit in the capital of Belarus. No, Belarus is not dangerous at all. It is a peaceful country with peaceful people, clean streets and beautiful nature. The opinion of safety can be biased, but we have collected safety/crime data from around the world to prove that Belarus is safe. Depending on your country. Since June 2018, there is a list of countries that can visit Belarus without a visa for 30 days under certain circumstances. Find out more in our article about visa to Belarus. What is Belarus famous for? 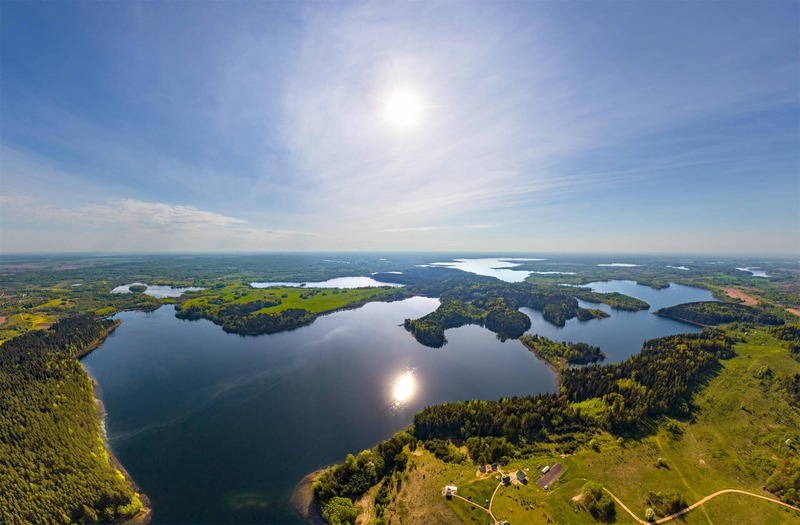 Belarus is famous for its sportsmen, several important historical figures, IT companies, largest truck in the world… Speaking of attractions, Belarus is famous for its castles, nature and old cities. Read 50 interesting facts about Belarus. What is the currency in Belarus? The currency in Belarus is the Belarusian rubble (BYN). After denomination (cutting of 4 zeros) in summer 2016, the new currency rate is about 1 euro/dollar = 2 rubbles. What are the prices in Belarus: is it cheap or expensive? Is Belarus an agricultural country? Agriculture is highly developed in Belarus, while it stands for only around 7% of its GDP. The average salary in Belarus in September 2017 is about $430 per month. It is relatively low, but having low prices on food, rent and utilities, it is enough for normal life for most of the people. What is the favorite sport in Belarus? Hockey is very popular in Belarus, Minsk hosted the Hockey World Championship and going to host it again in 2020. Still, football (soccer) is more widely spread, as it requires less clothes and equipment. Read about the most popular sports in Belarus. How cold is it in Belarus? Not bordering sea or ocean, the temperature in Belarus varies more than in countries like Great Britain or Netherlands. Typical temperature for summer is about 25 degrees Celsius, while sometimes it may reach 30-35. In winter, it is about -5 to -10, with minimum about -25 degrees Celcius. It was our overview of questions and answers about Belarus that many people ask. We will add more, and you are free to send us your propositions on [email protected] You can find more information about Belarus on our website. Have a great time in Belarus!